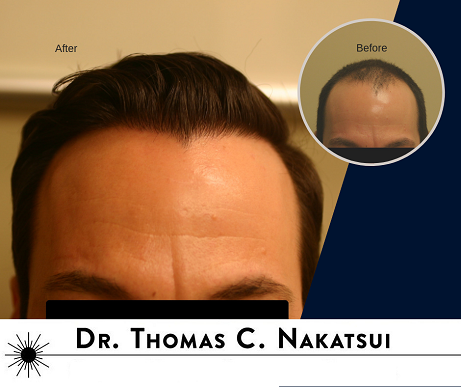 These are hair transplant before and after results from a few of Dr. Nakatsui’s patients. These procedures were all performed at the Groot Dermasurgery Centre in Edmonton, Alberta, Canada and the photos have not been retouched in any way other than to hide the identity of the patients. Above: crown, before > after. Below: front, before > after. Above: front, before > after. Below: left temple, before > after. Above: front, before > after. Below: right temple, before > after. Above: front, before > after. Below: crown, before > after. Above: Pt. A, front, before > after. Below: Pt. B, crown, before > after. 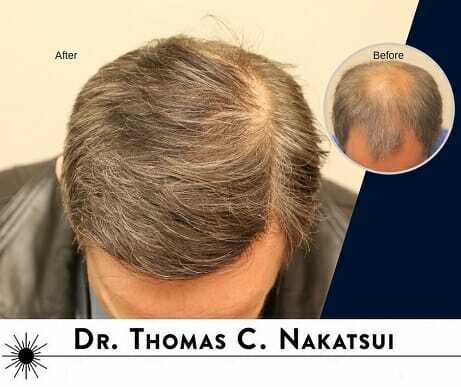 No procedure is too small for Dr. Nakatsui, as is the case with this this friendly gentleman that came to see Dr. Nakatsui regarding scarring alopecia that occurred over 20 years ago. 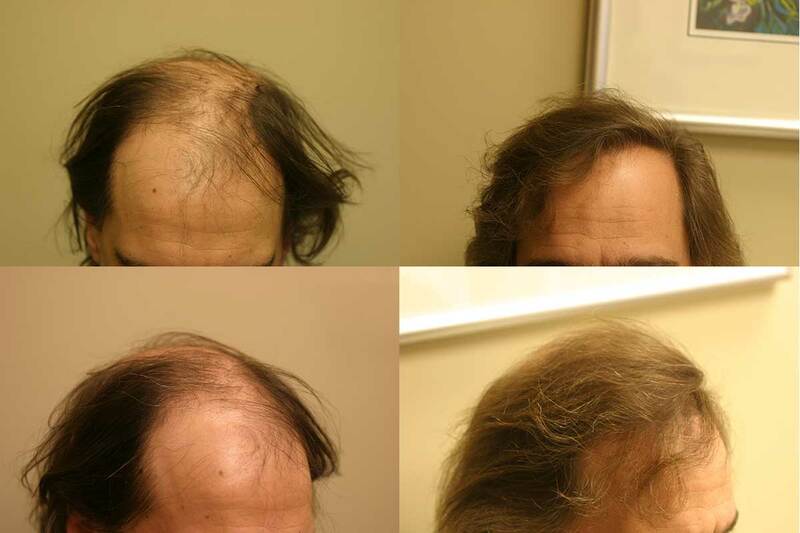 He had no complaints or issues with hair thinning, rather just 3 areas of scarring alopecia. The patient advised us that he had surgery elsewhere where the surgeon excised a portion of scar. This led to a linear scar line. 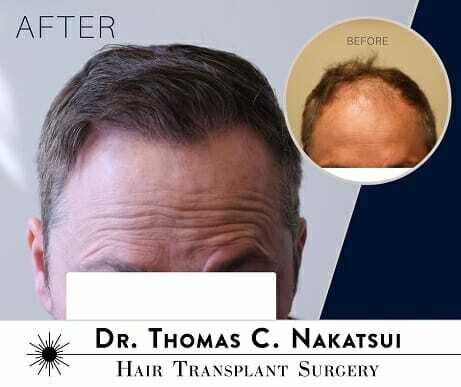 When dealing with hair transplants into a scar region, we know that approximately 80% of the hairs will grow and survive whereas transplanted hairs into virgin scalp will have a success rate of approximately 96-98%. The patient was made aware of the decreased survival rate and still proceeded with the surgery. Ultimately, the end result is very natural, thick, and blends in well with his surrounding hair. For more before and after photos and more information about this patient please click here. 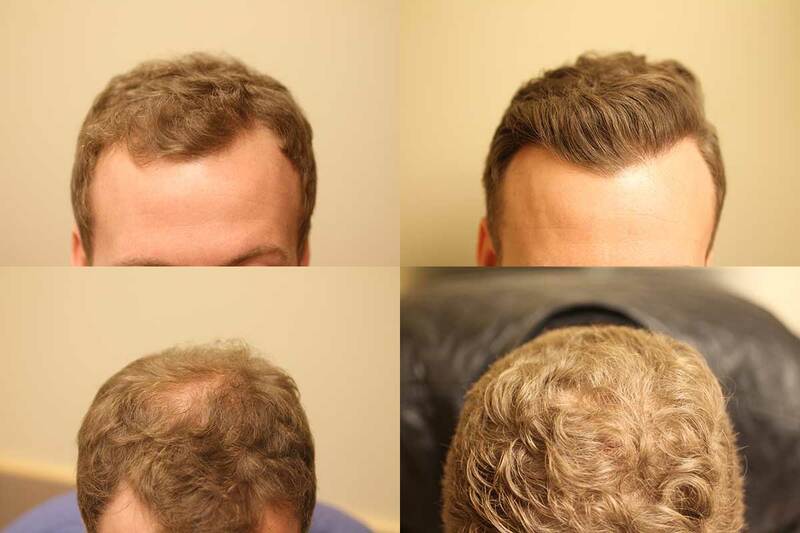 This gentleman came in with progressive hair loss throughout his scalp. 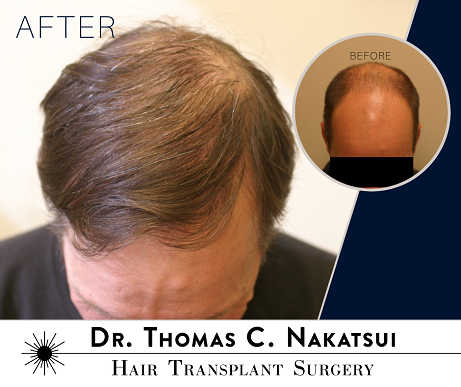 Dr. Nakatsui transplanted approximately 3,000 grafts for his final hair transplant result. 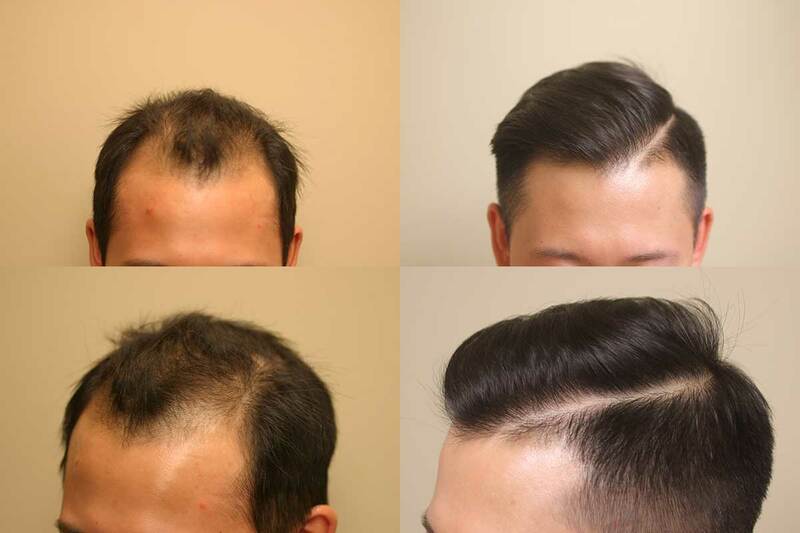 The nice thing about this patient is that he grew out his hair demonstrating that hair transplanted hairs grow just like regular hair because it is natural hair. To view more before and after photos of this patient please click here. This young gentleman came to Dr. Nakatsui complaining of a high hair line. He denied any hair loss or recession, but rather simply a high hairline that he always had. In situations like this, medications such as Rogaine and Propecia will not be able to grow/regrow hair in an area that lacked hair follicles. This patient opted for hair transplant surgery. For more before and after photos of this patient, please click here. 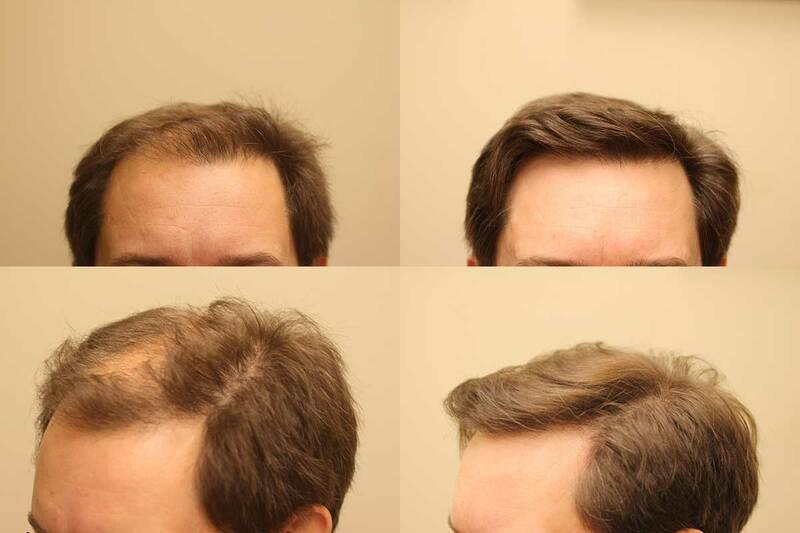 This young gentleman came to our clinic complaining of hair loss to his crown (vertex) and temples. The patient opted to have follicular unit extraction surgery (FUE). 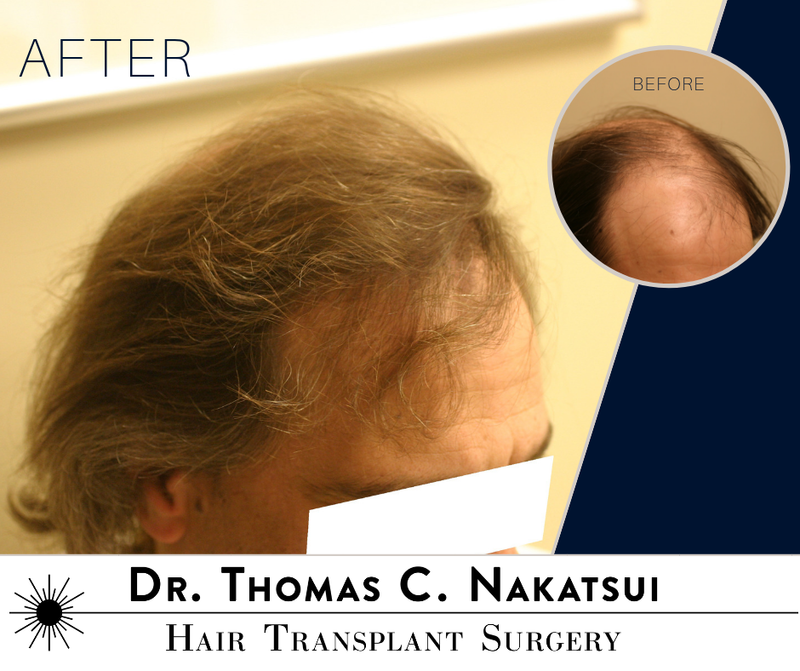 Dr. Nakatsui transplanted 2,200 grafts into the crown and temples. This patient experienced hair loss of the frontal scalp. As with any hair transplant surgery, angle and direction of transplanted hairs is of utmost importance. 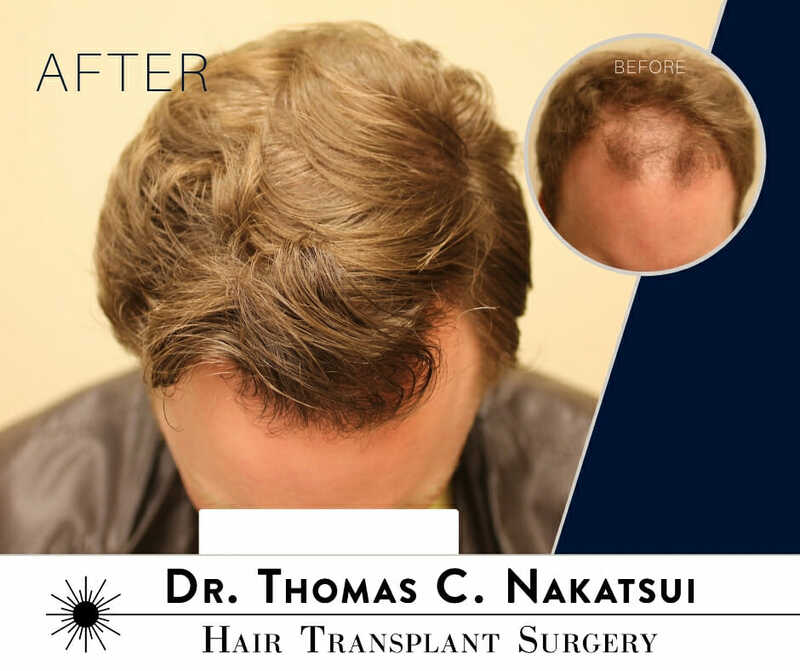 Dr. Nakatsui transplanted approximately 2,400 grafts and followed the patient’s hair direction throughout the frontal region. In the photos seen from the various angles, care and precision were important in order to produce a natural looking result. To view more photos of this patient please click here. 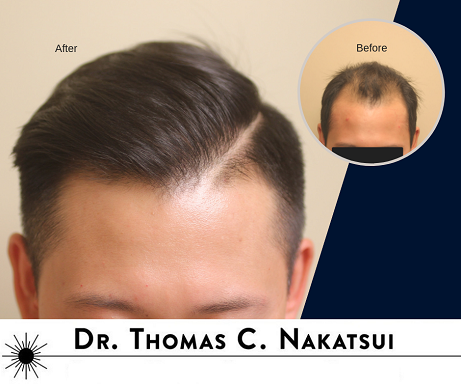 This pleasant patient of ours came into our clinic with hair loss of the frontal region of his scalp. We discussed the various treatment options and the patient proceeded with a hair transplant surgery. 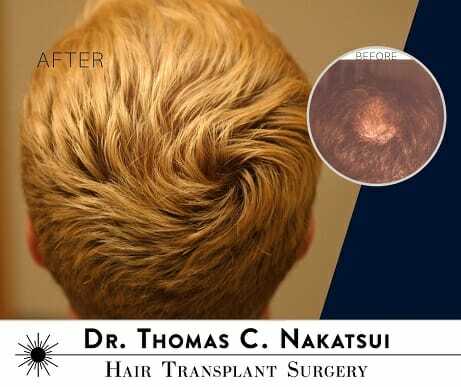 A total of 2,200 grafts were transplanted into his frontal region for the end result. For additional before and after photos of this patient, please click here. This gentleman came in with progressing hair loss all throughout his scalp. The hairline, temples, mid scalp, and crown had thinned out significantly. 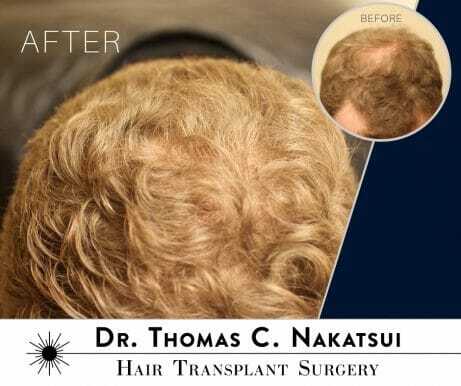 Dr. Nakatsui transplanted just under 5,000 grafts in one surgery. What was interesting about this patient’s case was that his natural widow’s peak was slightly off centre. A few hairs were transplanted into this section. The end result is completely undetectable and incredibly natural looking hair restoration. For more photos of this patient please click here. 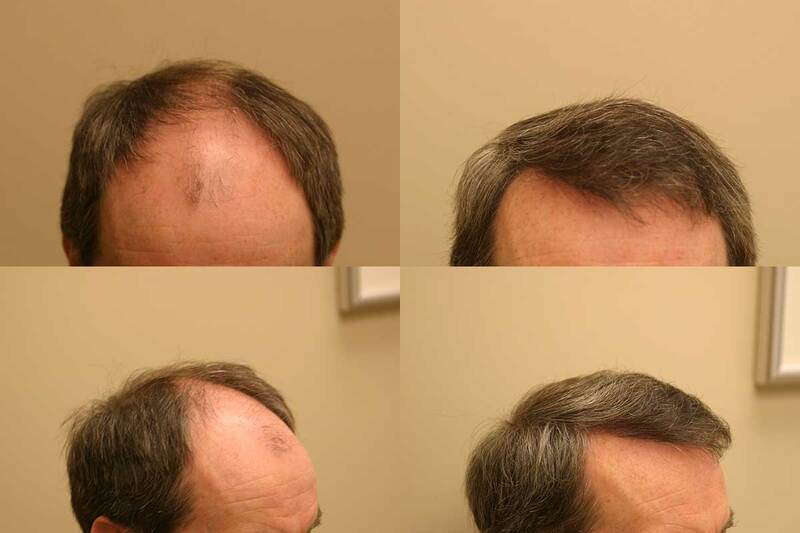 This gentleman came into our clinic with hair loss to the hair line and temple regions. 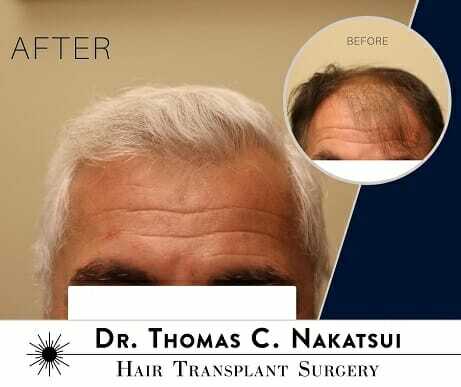 Dr. Nakatsui transplanted approximately 2,700 grafts. The hair line requires the most attention to detail as it is the most visible area and also the first thing that people will notice. If there are any irregularities, it can be spotted very easily. Another important detail with the hairline is that, although technically possible, it is not recommended to lower the hairline too drastically as this may look unnatural as the patient ages. 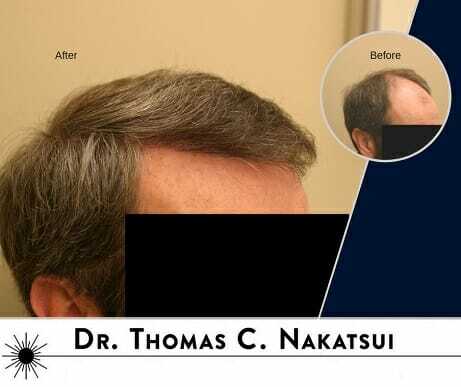 This friendly patient experienced slow gradual thinning throughout his scalp. The angles in which the grafts are transplanted is incredibly important for the end result. The frontal aspect of the scalp will have a different angle than the crown. All of these angles and directions need to be followed in order to achieve a natural end result. For more photos of this patient, please click here. 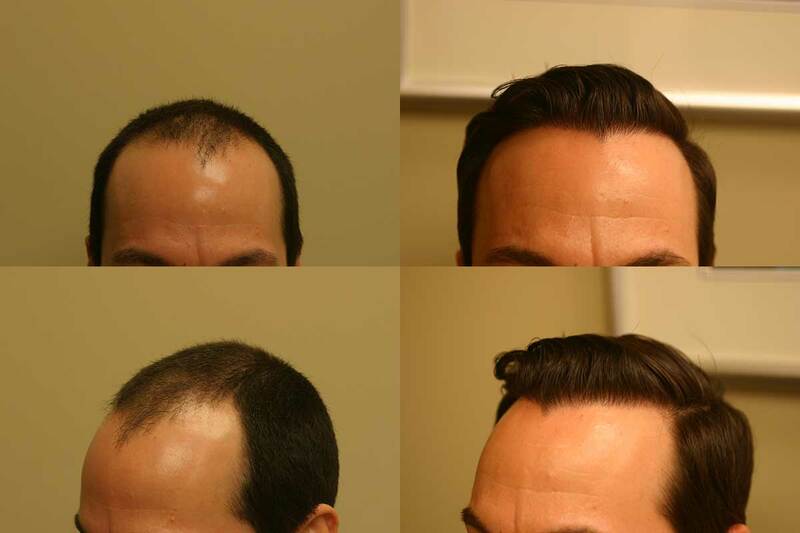 This gentleman came to our hair loss clinic with recession to his hairline that extended back to his mid scalp. 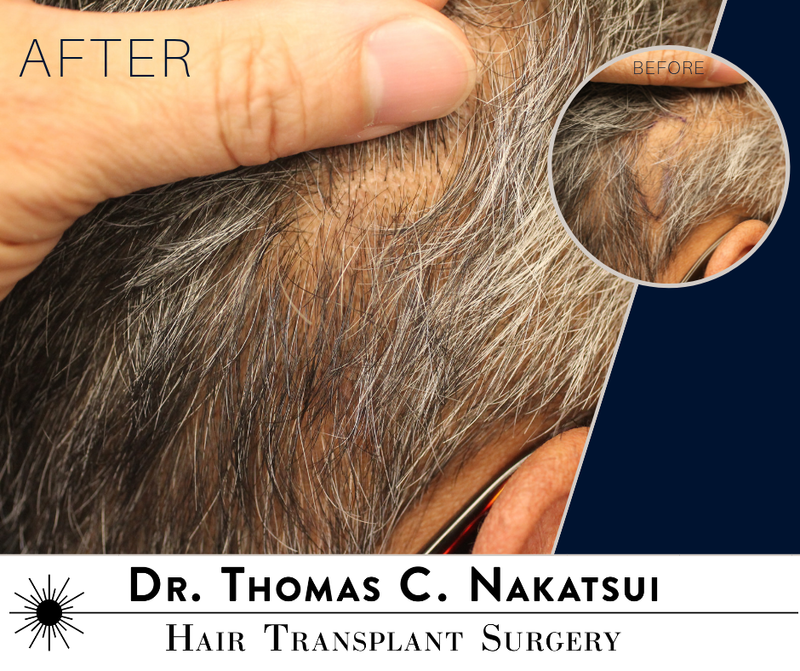 Dr. Nakatsui transplanted approximately 3,000 grafts for the final result. Close examination of the hairline demonstrates the absolute importance to angle and the use of follicular units (the very basic units of hair) when performing a hair transplant. To view more of this patient’s before and afters, please click here. 1) The absolute importance of angle in a hair transplant. The vertex has a high degree of angle change. If the angles are not followed correctly, the end result will appear unnatural. 2) The transplanted hairs, once they grow in, can be coloured just like your regular hair, because it is your own natural hair. 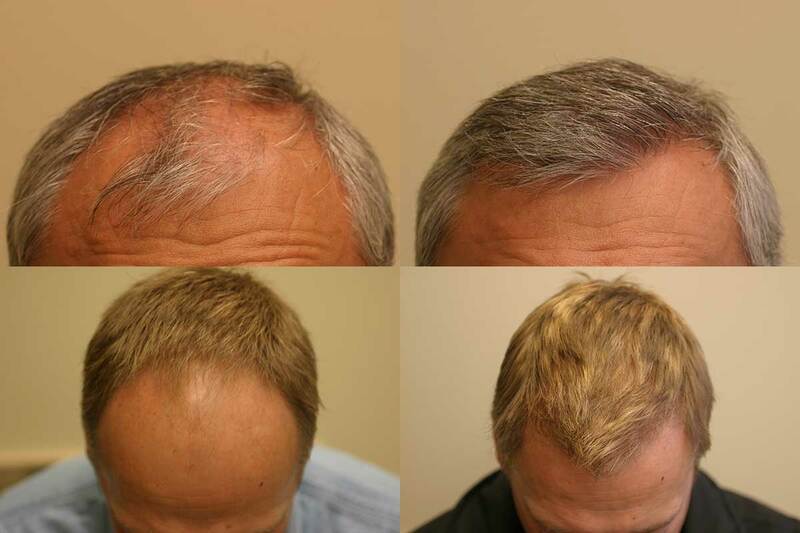 This is a patient who came in and was concerned about the progressive thinning of his hair. We decided to fill in the frontal scalp as it was this area that concerned him. He received 596 single grafts, 1440 double grafts, and 536 big grafts, for a total count of 2572 grafts. He is ecstatic about his results so far and his post op photos are about 11 months out. For more before and after photos of this patient, please click here. 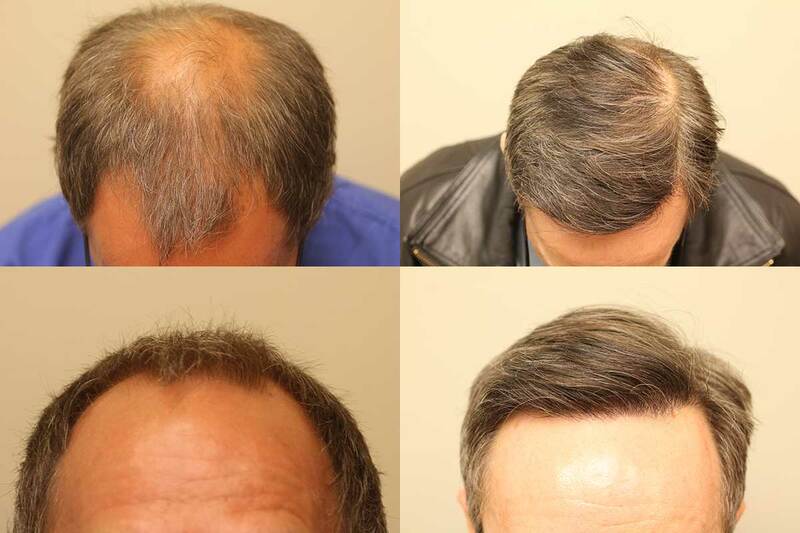 This friendly patient came into our hair loss clinic with progressive hair loss throughout his scalp. Approximately 4,700 grafts were transplanted over 2 surgeries for this patient’s end result. 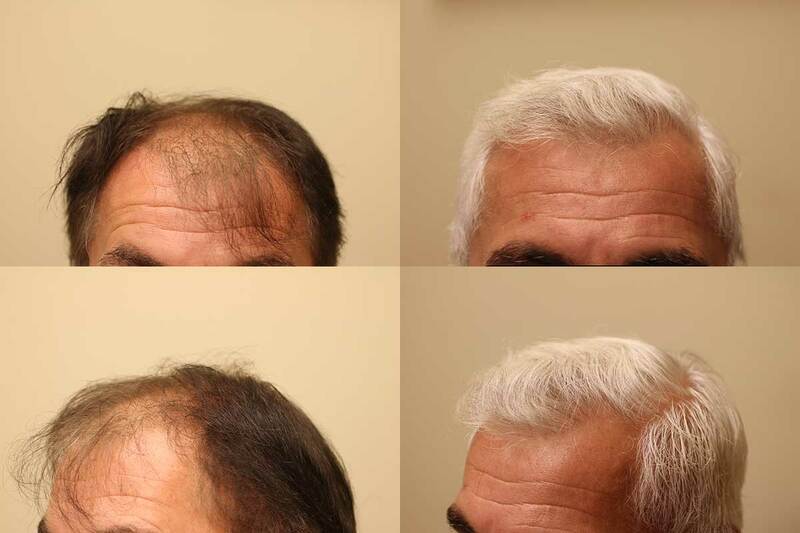 This gentleman experienced thinning throughout his scalp. 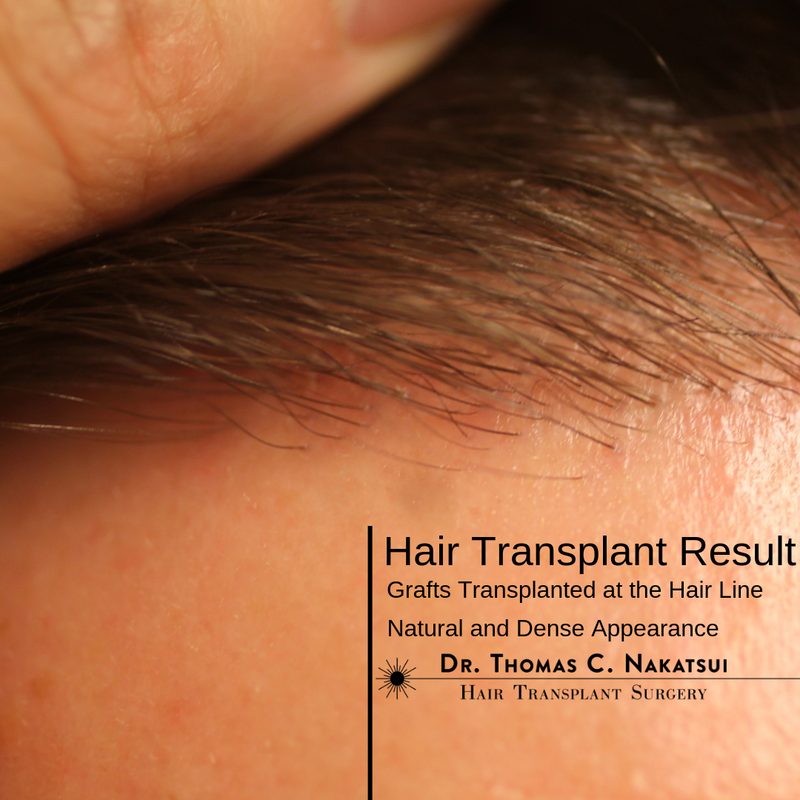 Dr. Nakatsui transplanted approximately 4000 grafts, approximately 8,500 hairs, for this end result. Dr. Nakatsui, the experience was a complete success! I would highly recommend this procedure to a friend or family member. 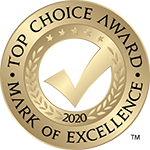 The staff were very friendly and accommodating, beyond my expectations, and the hair transplant has made a great improvement! Dr. Nakatsui’s team is doing a splendid job! I look ten years younger. Getting a hair transplant was one of the best decisions that I made. For me it definitely improved my appearance, and my level of confidence. I would highly recommend to anyone who is concerned with baldness. It is painless and very affordable. I have an older brother, who is two years older than I am and unfortunately has the same hairline. After my hair transplant, I look ten years younger than he does. A very satisfied and happy client. The hairline is very natural. 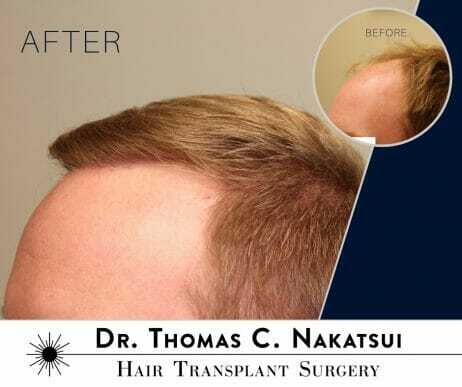 I went to Dr. Nakatsui and his team in Edmonton for a series of two hair transplants, and have been very satisfied with the results. The team was very friendly and supportive, and Dr. Nakatsui is clearly artistic and knowledgeable. The hairline is very natural and the end result is that I no longer have any attention or concern with hair loss.